People with dementia often have behavioral symptoms. These include problems with memory, language, and decision-making abilities. People with dementia can also experience changes in mood, such as increased irritability, depression, and anxiety. They often need assistance with their daily activities, such as feeding, dressing, using the toilet, and bathing themselves. These symptoms are often troubling for people with dementia, as well as for their caregivers. These dementia symptoms can reduce quality of life for people as they age. This can make them dependent on other people, which can lead to caregivers feeling distressed. It may also lead to people with dementia being hospitalized or placed in a nursing home, even if it is not what they would prefer for their care. There are no effective drug treatments for dementia or its symptoms. Therefore, researchers have been exploring treatment options to improve symptoms that don’t involve using medication. A team of researchers studied one of those programs, called the Tailored Activity Program (TAP). TAP matches activities to the interests and abilities of people with dementia. Then it teaches caregivers how to use those activities daily. Proton pump inhibitors (PPIs) are medicines commonly prescribed to treat acid-related digestive problems, including gastroesophageal reflux disease (or GERD). As of 2011, up to 1 in 5 older adults reported using a PPI. Although healthcare practitioners have long believed that PPIs are safe, recent studies have linked PPIs to potential risks, including fractures and kidney disease. Some studies also have linked PPIs to an increased risk for dementia among older adults. However, several experts have suggested that these studies may not correctly measure the connection. In a new research article published in the Journal of the American Geriatrics Society, scientists were able to conclude that developing dementia or Alzheimer’s disease (the most common form of dementia) did not appear to be linked to taking PPIs. Problems with balance, walking speed, and muscle strength become more common as we age, and can lead to disability. In fact, studies show that for older adults, having a slower walking speed can help predict chronic illness, hospitalization, and even death. A team of researchers from Sweden’s Karolinska Institutet in Stockholm examined the factors that put older adults at higher risk for developing physical limitations as they age. 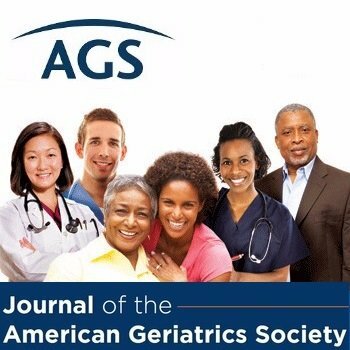 The team studied information from the Swedish National Study on Aging and Care-Kungsholmen (SNAC-K), and published their research in the Journal of the American Geriatrics Society. The Hospital Elder Life Program, or HELP, is an evidence-based treatment plan developed in the 1990s to prevent hospitalized older adults from developing delirium (the medical term for sudden confusion). Delirium can cause people to be either aggressive and agitated or sleepy and inactive—sometimes even a combination of the two. Delirium is also the most common complication older adults experience after surgery. Delirium has many causes, including infection, excess time in bed, and an imbalance in electrolytes (important minerals dissolved in bodily fluids). Older adults with delirium have longer hospital stays, higher care costs, and increased rates of death and institutionalization.